Good jobs are being shipped overseas every day. But a new Web site is shining some light on companies that are ripping the heart out of the American economy by outsourcing work to low wage havens. With “Job Tracker” – created by the AFL-CIO’s community affiliate Working America – all you have to do is enter your zip code to find out what companies in your town are killing good jobs by setting up shop in China or Mexico. You can also find out what corporations in your area are in violation of government safety regulations and labor law. More than 400,000 companies are listed in the database. Working America also issued a report – “OUTSOURCED: Sending Jobs Overseas: The Cost to America’s Economy and Working Families” – which details how our broken trading system encourages outsourcing. For too long, corporate America thought it could get away with shipping jobs overseas without being held accountable. It’s time to let them know that working families are keeping track. 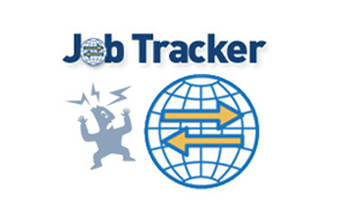 Click here to visit Job Tracker.